Hey, sorry for not having publish on Friday… I was working on the next tutorials and I forgot to post, very silly, I know! 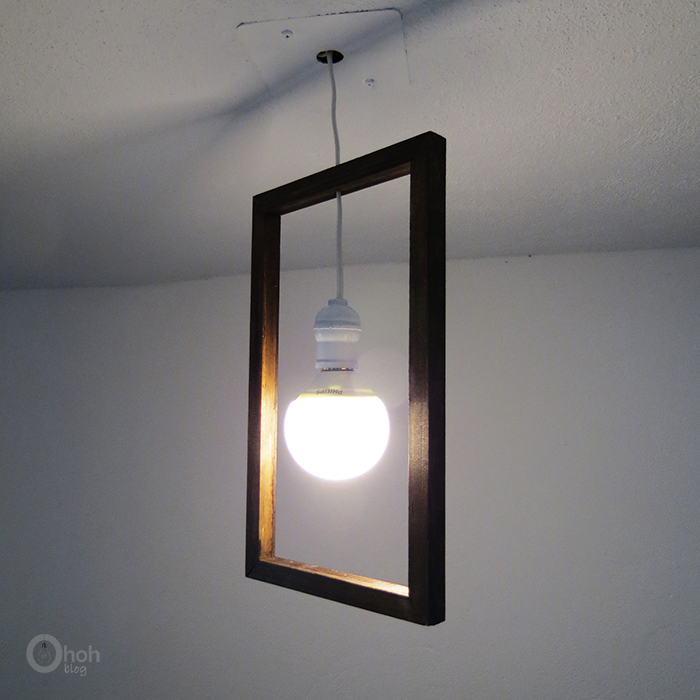 The good new is; I can share this minimal pendant lamp today! 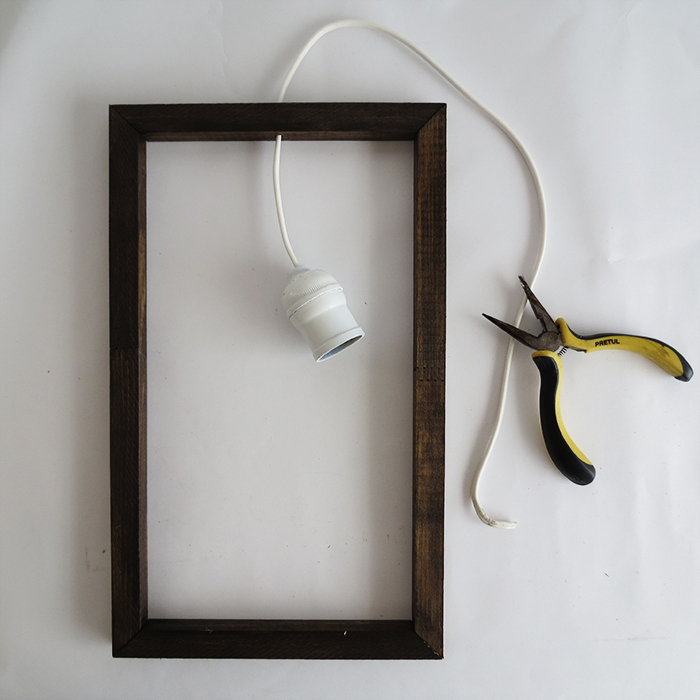 I saw this wall lamp on pinterest and thought it would be really easy to make a DIY version! It turns even better than I thought! 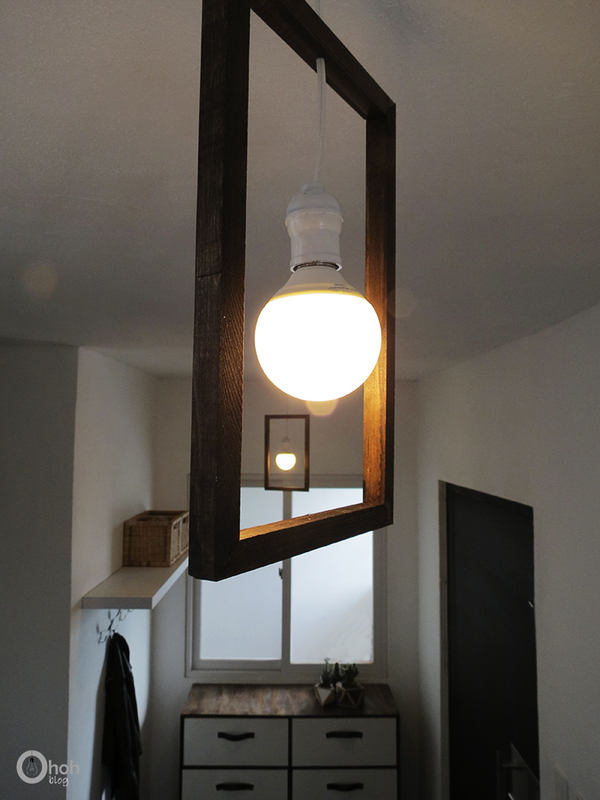 I made two and hang them in the entry! Much better than the dusty paper lantern we had before! You need 4 wooden pieces. 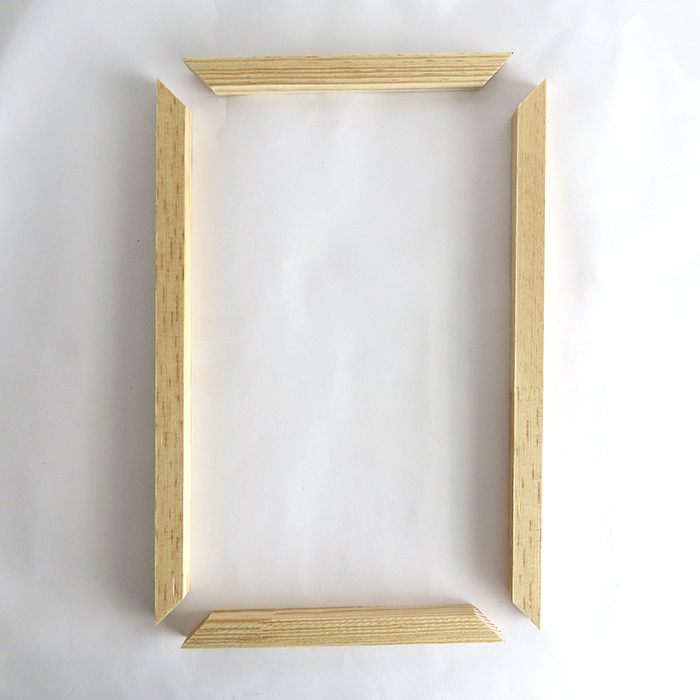 You can use 3/4 square moldings wood. Cut the pieces at 45 angle, two pieces at 8′ length and 2 at 13′ length. Drill a hole in the center of the top piece. You must be able to pass the electric cable in it. 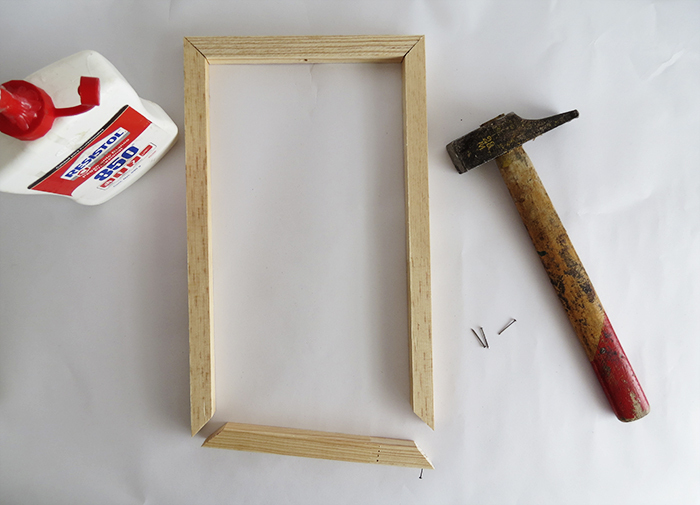 Glue and nail the frame together. 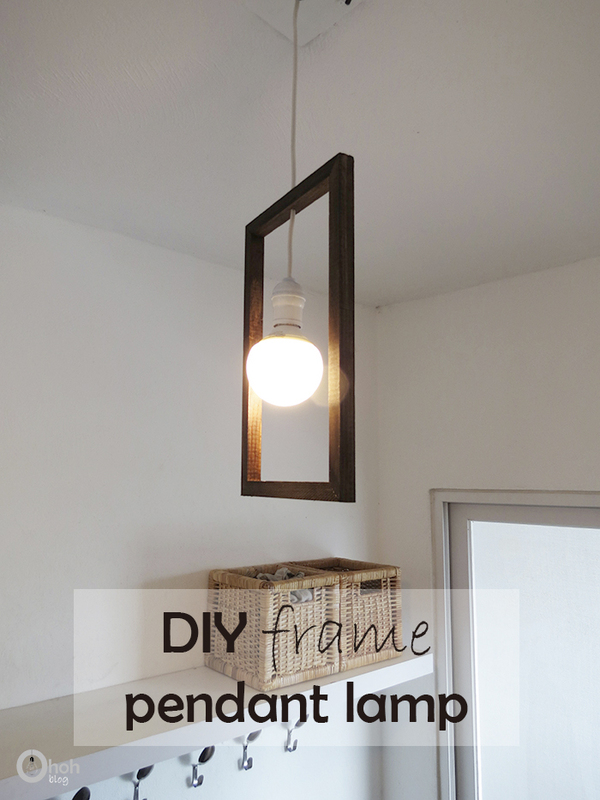 You can stain or paint the wood frame if you like to. 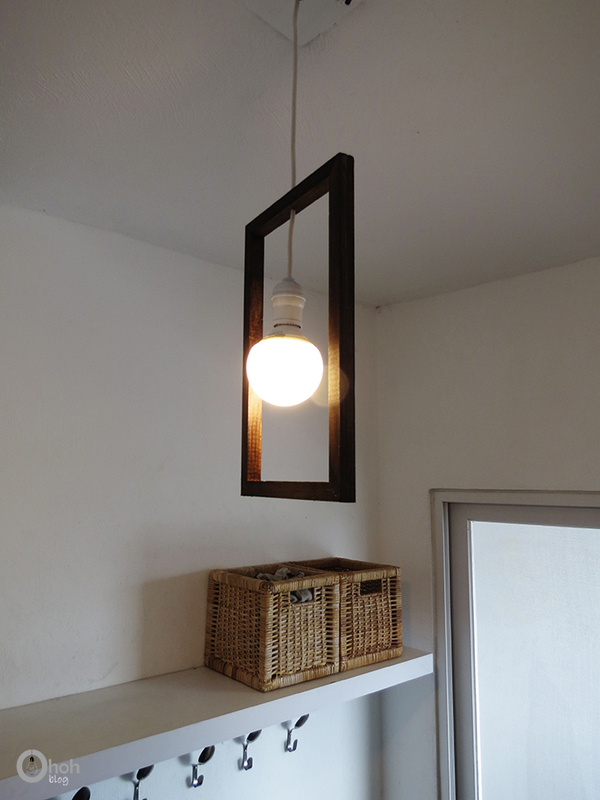 Connect the wire with the light socket. 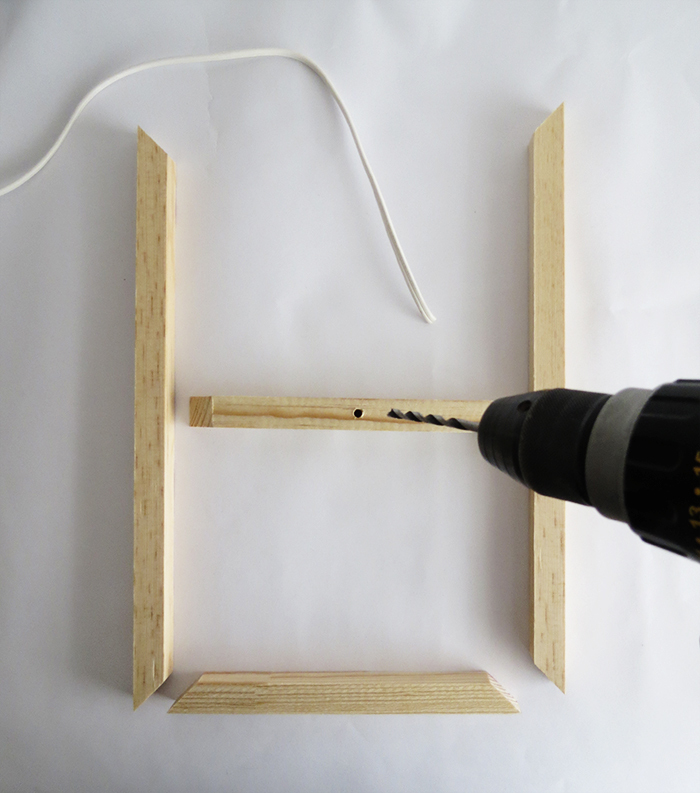 Unscrew the top, and attach each wire with the little screw inside. If you want a more detail tutorial check this one. Pass the wire into the hole. 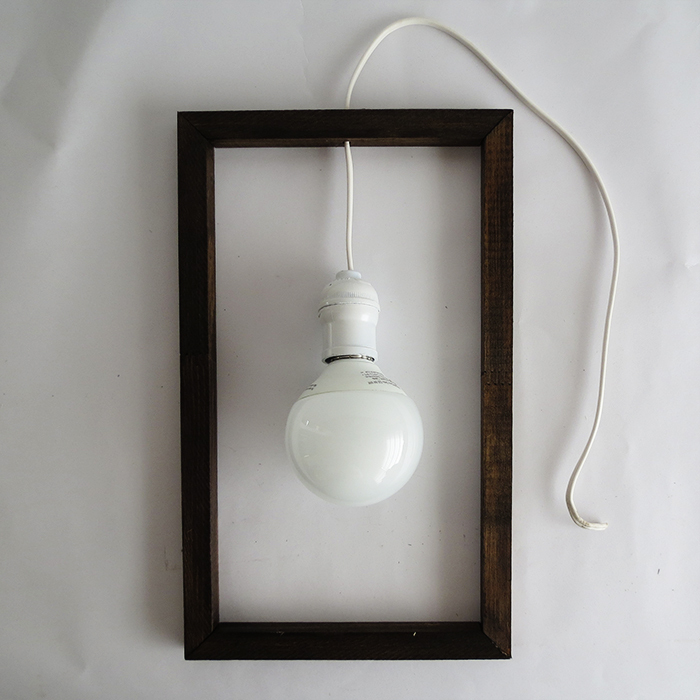 Screw the bulb and adjust the wire length to place the bulb in the center of the frame. 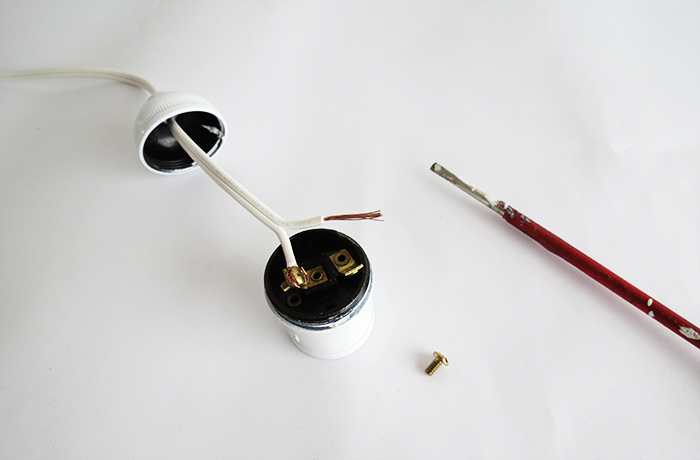 Glue the wire into the hole if necessary. Please, always use energy saving bulb. They don’t heat and they are environment friendly. 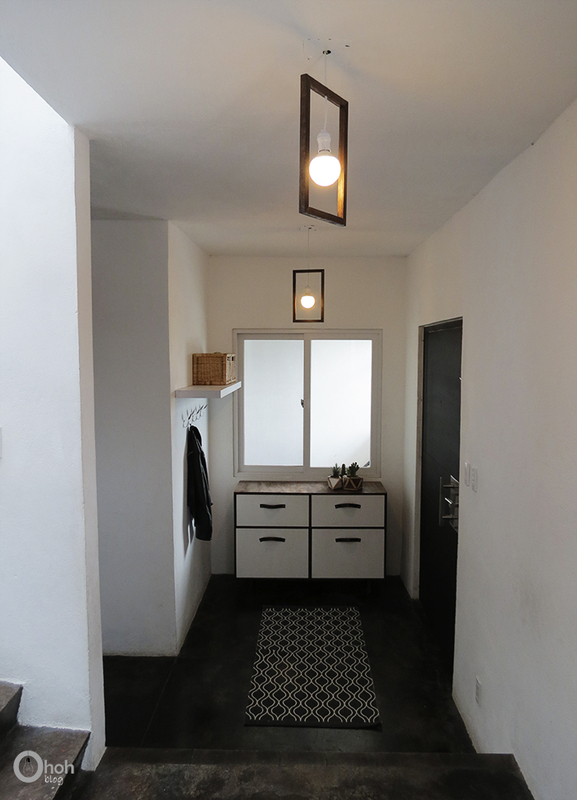 Connect with the ceiling cables to hang the lamp. The structure is very light weight so there won’t be any problem. My entrance starts to look nice! I want to add some color on the walls! Wallpaper? Stencil? Any idea? In the meanwhile, you can find the drawer tutorial HERE, the DIY spoon coat hangers HERE and the geometric planters HERE. Yep, I’m a DIY freak!